Just diagonally across the street from Bravo South is the Green Village Supermarket, a small bodega/grocery store. 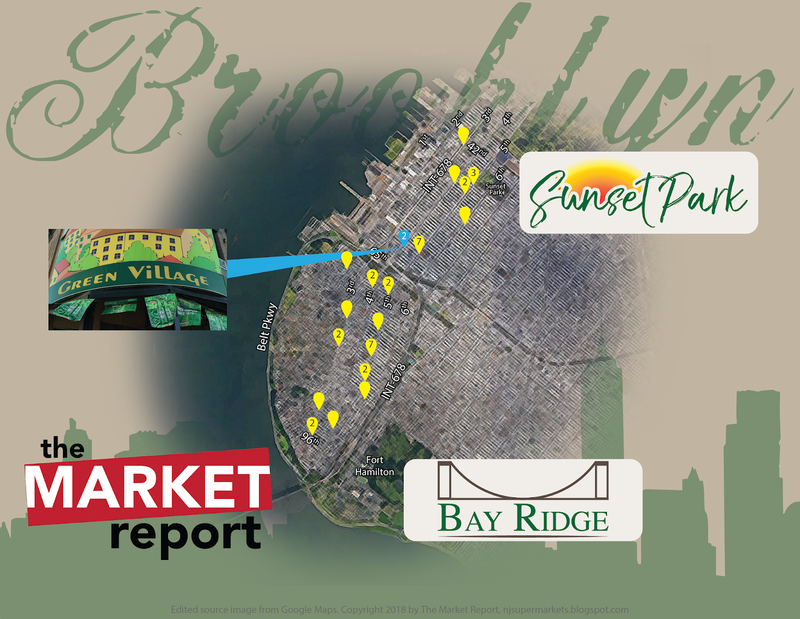 Green Village is located at 5801 4th Ave, Brooklyn. I wouldn't call Green Village a supermarket, although it does have some fresh produce, which many bodegas do not. A floral vendor has set up shop outside Green Village on the side. The entrance is around the corner to the right in the above photo. I didn't go in, but the front doors propped open let me see in, and let out plenty of nice cool air conditioning (I'll remind you that the day had a high of 81 degrees, although it was February). Programming note: I'll have two new Look Inside posts this weekend, one tomorrow and one Sunday. They have nothing to do with Sunset Park or Bay Ridge, but they're worth interrupting this group of stores for. Check back tomorrow morning!